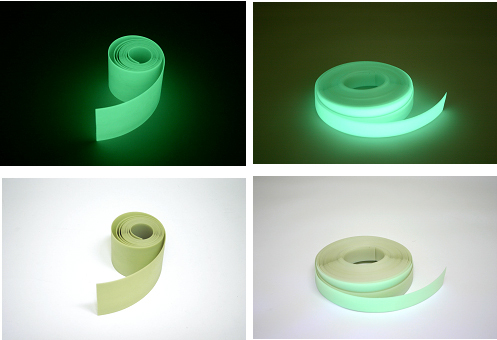 Photoluminescent flexible film is also called as non-electric glow in the dark vinyl. 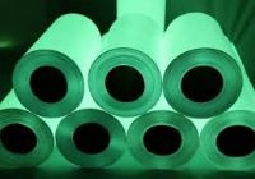 The flexible film is made from long afterglow photoluminescent pigment and plastic raw material. It can be cut into all of shapes and patterns applied to clean and dry surface. Applications: Advertising, decoration, switch panel illumination, Sign production, indication markers, tape, delineation markers, building emergency safety sign and marker and stair egress way-finding system. Glow in the dark inkjet paper is a new product developed specifically for printing with water based inkjet or laser jet printers. 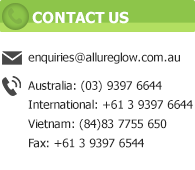 Also called glow business card paper or glow photo paper. It is not made from conventional paper, it is produced from flexible vinyl. The product is treated with art chemicals to allow it to be printed on by using any normal water based inkjet or laser jet home or industrial printer. This glow business card paper is also suitable for large scale water based inkjet printing as well. Applications: glow in the dark photo printing with home computer and inkjet printer. Indoor use: The glow inkjet paper can be used in indoors and has a life span more than 5 years. Colours: Glow business card paper is available in green and blue glow. Daytime color is white. 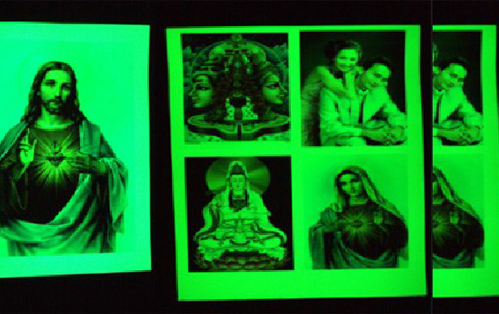 The glow photo paper or inkjet paper are two glow colors of green and blue. Water proof tape for indoor and outdoor use. The tape comes in 2 widths: 25mm and 90mm wide and comes with or without adhesive. If you are using on flat smooth surface like steel or painted timer then use the tape that is supplied with adhesive. High glow tape with adhesive suitable for dry indoor conditions.